A help desk solution is a perfect way to supplement what your employees already know with what they need to know. You can provide your staff with access to trained technology professionals who can provide assistance when it’s needed. 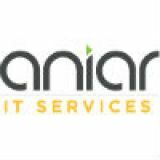 Aniar IT Services can help your business get started with technology training and support. To learn more, reach out to us at 094 90 48200 .